Looking for some fun things to do around Limerick and the South West with the family? 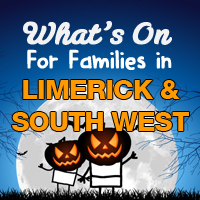 Read on – there’s some great things to do in Limerick and the South West with kids this month. 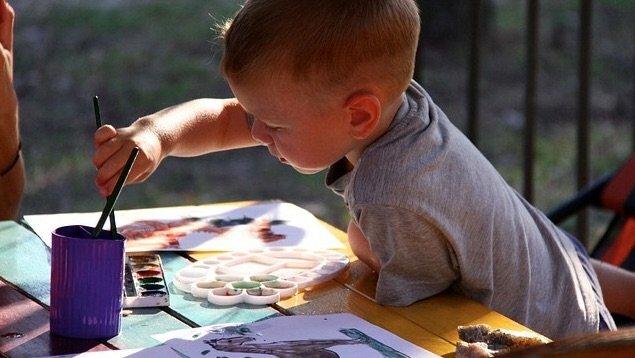 Polish Arts Festival – Voice of Kids Event takes place at The Hunt Museum on October 1st 2016 14:00 – 16:00 This day will be action packed with free family activities including clay modelling, felt making, storytelling in nine languages and decoupage art. It’s the perfect chance to experience Slavic culture and cuisine. The Hunt Museum continues their 1st Sunday monthly Art & Craft sessions for families in October and each Saturday there is a special Drop in Arts & Crafts session too. As part of the Open House Festival kids can take part in Ar-Kid-Tecture workshops on October 8th; let the kids put on their hard hats to build their own city! Booking is recommended as places are limited. Limerick Racecourse will have a Family Funday on October 8th. Buladh Bos Children’s Festival 2016 will take place in Limerick from October 11th to October 21st. The Lime Tree Theatre will host family shows and events throughout. The 17th Kerry Film Festival is on from October 19th to 23rd 2016. The Source Arts Centre in Thurles have some great family shows running this October including The Secret Life of Suitcases on October 23rd. 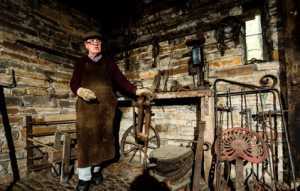 Bunratty Folk Park have a ‘Forge In‘ on October 22nd and 23rd. Come along to celebrate the craft of skilled blacksmiths from around the country. And the annual Bunratty Blue Grass Festival takes place on October 23rd with free live music events taking place in Bunratty Village. Halloween horror is the order of the day at Bunratty Castle and Folk Park on bank holiday Monday the 31st of October from 12 to 6pm, with something for all the (Addams) family! CreateSchool have BrickFlicks Lego Mini Figure Workshops in Limerick and Ennis. 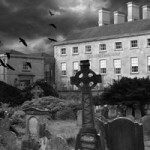 See Hocus Pocus at UCH, Limerick. This classic Halloween film is ideal for all the family! Hocus Pocus stars Bette Midler, and Sarah Jessica Parker. 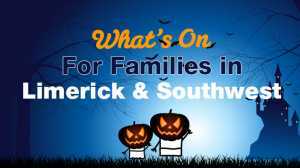 Limerick will host its very own Halloween ‘Spooktacular’ Family Festival on Arthur’s Quay. The annual Spleodar Family Arts Festival is on in Nenagh from October 29th to 31st 2016. 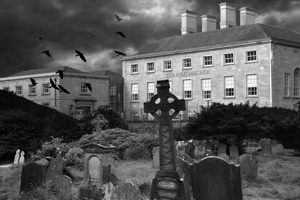 The annual Knocknagoshel Halloween Group Ghost Trail takes place in Knocknagoshel, Co Kerry on October 30th. Moher Hill Open Farm in Liscannor is hosting a fun Halloween event. Kenmare Halloween Howl takes place from October 29th to November 5th 2016. Expect the unexpected! Creative Super Scary Halloween Workshops with Starcamps. South West Camps take place in Ennis, Nenagh and Limerick. The Burren Winterage Weekend celebrates the farming heritage of the region with events suitable for all the famiily. It takes place from October 27th to 30th 2016. The Burren Food Fayre is on in Lisdoonvarna on October 29th and 30th 2016. For more great ideas that cost nothing but time visit our articles on Free Things to Do in Kerry, Limerick, Tipperary, Clare. The Hunt Museum continues their 1st Sunday monthly Art & Craft sessions for families in September and each Saturday there is a special Drop in Arts & Crafts session too. glór Ennis has a full schedule of classes and workshops starting back in September including acting, music, art, yoga, dance and more. They will have a number of free family events on September 16th to celebrate Culture Night. And on September 24th come to the Food Village at glór, part of the Ennis Food Festival. Flavour of Killorglin annual Food Festival takes place from September 9th to 11th 2016. The annual Listowel Races Harvest Festival is on from September 11th to 17th 2016 with events for all the family to enjoy. The Cashel Arts Festival runs from September 15th to 18th 2016. The program includes, Music, Art, Workshops and Demonstrations for all ages. The Ennis Food Festival takes place from September 22nd to 25th 2016. Come along for tastings, demonstrations and family fun. The Tralee Food Festival takes place from September 23rd to 25th 2016. Visitors can enjoy a food trail, cookery demonstrations and market stalls. Traditional Harvest Day & American Wake! will be celebrated in style at Bunratty Castle & Folk Park on September 25th. from 1pm to 5pm, with a 19th century Harvest event. Get a flavour of Irish life from 100 years ago and enjoy threshing , butter churning and bread making demonstrations, along with traditional storytelling, music and dance. Owners of vintage tractors and machinery from far and wide will proudly display their wares for what promises to be a great family day out. Festivities included in normal ticket price. The Scariff Harbour Festival runs in various venues around Scariff, Co Clare from July 28th to 31st 2016. The Cahersiveen Festival of Music & The Arts runs over the August bank holiday weekend from July 29th to July 31st 2016. The annual Kilgarvan Agricultural Show takes place in Kilgarvan, Co Kerry on July 31st 2016. King John’s Castle in association with Chapterhouse Theatre present and outdoor performance of The Railway Children on August 1st, promising an enchanting and unmissable evening of theatre under the stars. The Railway Children is a treat for all the family, perfect for a summer evening’s entertainment. 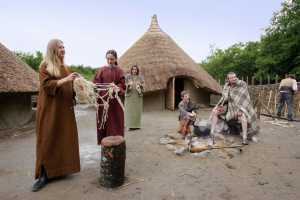 Celebrate Lughnasa at Craggaunowen from 2nd-3rd August, with an array of costumed re-enactors from the Bronze Age to Medieval times. 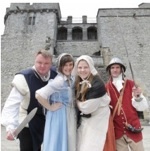 Activities include combat demonstrations, Brehon law trials and much more! The Hunt Museum continues their 1st Sunday monthly Art & Craft sessions for families throughout the Summer and each Saturday there is a special Drop in Arts & Crafts session too. From June 14th visitors can get Hands On with the artefacts in The Hunt Collection at a special session each Tuesday until August 23rd. Enjoy a Deesigner Balloon Twisting Workshop this August in Kilkee, Co Clare on August 2nd, 8th, 15th & 22nd. There’s a Family Wildlife Discovery Day on August 3rd at Cabragh Wetlands (near Thurles), free and all are welcome, with activities planned from Pond Dipping, Bug Hunts, Bird Races, Dragonfly crafts and loads more for the family to enjoy. The Feakle Festival of Traditional Music 2016 is on from August 3rd to 8th. The famous Puck Fair in Killorglin, Co. Kerry takes place from August 10th to 12th 2016 and is one of Ireland’s most unusual street festivals! See the crowning of a wild mountain goat and take to the streets for lots of fun. Fleadh Cheoil na hÉireann 2016 takes place in Ennis from August 14th to 22nd. This celebration of traditional music includes music, workshops traditional dance and competitions showcasing some of the best traditional arts from around the world. To celebrate the Fleadh Cheoil, Bunratty Castle welcome visitors to join them for ‘Fun with the Fleadh’ daily events from August 11th to 21st 2016. Visitors can enjoy a broad mix of traditional dance and music played by the talented Bunratty Folk Park’s tradition troop, many of who will also perform at the Fleadh Cheoil on Ennis. The annual Rose of Tralee Festival takes place from August 17th to the 23rd 2016. There are family friendly events running throughout the week. The Specks are coming to glór Ennis on August 21st. Check out full listings including summer camps and workshops taking place this Summer at glór. The Cappamore Agricultural Show takes place in Cappamore, Limerick on August 20th 2016. Get kids active and stretch their imagination by getting involved in our Summer Camps at Bunratty Folk Park and King John’s Castle. The next camps take place in King John’s Castle from August 15th to 19th and at Bunratty Castle from August 22nd to 26th. The Charlie Chaplin Comedy Film Festival takes place in Waterville, Co Kerry from August 25th to 28th 2016. Sarsfields Day Festival takes place on August 27th 2016 in various venues in Limerick City and County. 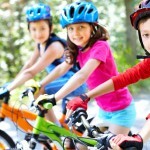 If you have are looking for a Summer Camp check out our round up of Summer Camps for Kids and Teens. The Hunt Museum continues their 1st Sunday monthly Art & Craft sessions for families throughout the Summer and each Saturday there is a special Drop in Arts & Crafts session too. Visitors can get Hands On with the artefacts in The Hunt Collection at a special session each Tuesday until August 23rd. Bunratty Castle and Folk Park are hosting a Birds of Prey Display on Sunday July 24th. Highlights will include Falconry and Archery events and attendees can get up close to some of the world’s most majestic birds of prey. Adults and children aged 7+ can take part in some Archery lessons and fun is guaranteed for all ages. The annual Féile Brian Ború Festival takes place from June 30th to July 3rd 2016 in Ballina & Killaloe. The annual Limerick Make A Move Festival of Hip Hop and Music takes place in various venues in Limerick City from June 30th to July 3rd 2016.
glór Ennis have a full line-up during July including summer camps and workshops, exhibitions and more. Limerick Racecourse have a Family Fun Day on July 3rd. Children under 16 get free entry when accompanied by an adult and there will be loads of free entertainment for younger children to enjoy while the racing takes place. Ennis Street Arts Festival 2016 runs from July 4th to 10th. The annual Clonmel Junction Festival takes place from July 4th to 10th 2016 in Clonmel, Co. Tipperary. The family friendly line up includes, Music, Exhibitions, Food, Street Entertainment, Theatre, Workshops and a Mad Hatters Tea Party. The Transatlantic Cable Festival takes place on Valentia Island, Co Kerry from July 13th to 17th 2016. The festival celebrates 150 years since the first successful transatlantic cable was laid between Valentia Island, Ireland and Newfoundland, Canada. The festival will be free to attend, although you may need to register for tickets for some events. It’s A Long Way to Tipperary Festival takes place in Tipperary Town on July 15th and 16th 2016. The Eyeries Family Festival takes place from July 15th to 17th 2016 in Eyeries, Co Kerry. The annual Foynes Air Show takes place on July 17th, 2016. Come along to see some amazing planes and stunts from experienced pilots from around the world. The Sneem Summer Festival 2016 takes place in Sneem, Co Kerry from July 19th to 24th and promises fun for all ages. If you have ever wondered what life was like as a Norman Knight then head to King John’s Castle on May 29th for an insight into how they trained, what weapons they used, their customs and lifestyle and much more. You may even get the chance to take part in a Norman Knight Fight and receive a certificate of Knighthood……if you survive! This family friendly event takes place from 12pm to 5pm and promises to be an exciting day out. The Hunt Museum continues their 1st Sunday monthly Art & Craft sessions for families throughout the Summer and each Saturday there is a special Drop in Arts & Crafts session too. From June 14th visitors can get Hands On with the artefacts in The Hunt Collection at a special session each Tuesday until August 23rd. On June 18th they will host a special Family Fun Day ‘Hands in Harmony‘ in association with the Deaf Community Centre in Limerick. Indigo Moon presents The Jungle Book at glór Ennis on June 8th, Clockwise Art’s Children’s Theatre presents an evening of music and song on June 18th, enjoy an evening of Music, Food and Film on June 24th. Check out full listings including summer camps and workshops taking place this Summer at glór. Funderland is on at Groody Road, Limerick from May 26th to June 12th. New for 2016 is Ireland’s first Looping Rollercoaster! Are you brave enough? Listowel Wrtiers’ Week has events for adults and children in Listowel, Co Kerry, from June 1st to 5th 2016. Celebrating music and the arts K Fest takes place in Killorglin, Co Kerry from June 3rd to 6th 2016. The Doonbeg Jazz Festival runs from June 3rd to 6th in Doonbeg, Co Clare. The Big Telly Theatre Company presents Spike Millingan’s Puckoon on June 4th at glór Ennis. The Killaloe Chamber Music Festival is back from June 10th to 12th 2016. Enjoy a host of free cycling inspired events at BeSPOKE – Limerick’s Cycling Festival which takes place across the city from June 11th to 19th 2016. 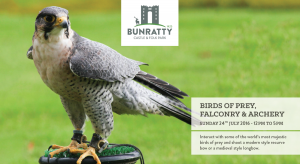 Bunratty Castle and Folk Park are running a Mid Summer Festival on June 18th & 19th 2016. Activities will include a magical walk along the brand new fairy trail to a magical fairy village, a trip through the live willow trail to the willow hut, carriage rides, puppet shows and fun workshops for children who can also visit the new animals and new outlets opening in time for the festival. Chapterhouse Theatre Company present an outdoor theatre performance of Jane Austen’s Sense and Sensibility at Ballyseede Castle, Co Kerry on June 28th & 29th. Head to the Hunt Museum this May Bank Holiday for family fun including Riverfest 2016 when the museum’s garden will be full of music, art, storytelling and games. And on May 1st join the Kids Arts and Crafts Club session. Later in the month, celebrate National Drawing Day on May 21st with an afternoon of drawing inspired events. 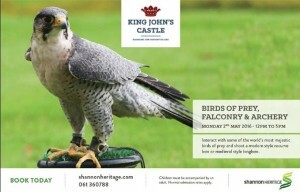 On Monday May 2nd head to King John’s Castle for a Birds of Prey and Falconry Day. Interact with some of nature’s top predators and learn about the skill of archery all in the unique setting of King John’s Castle. Imagine the thrill of being up close to some of the world’s most majestic birds of prey….All of the birds will be tethered (they will be in the control of experienced handlers at all times). Experience the exhilaration of shooting a modern style recurve bow with the option of testing your skills using a medieval style longbow. 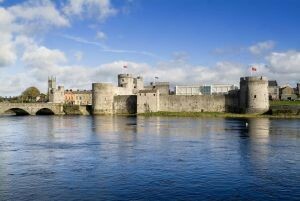 Riverfest 2016 takes place in Limerick over the May Bank Holiday weekend with family fun including amazing watersport performances, BBQ’s, Fireworks and an opportunity to take part in some water based activities. Great Lighthouses of Ireland are hosting May Bank Holiday Events for families entitled ‘Shine a Light on Summer’ at 12 lighthouses from Hook Head to Malin Head. Family friendly events take place from April 30th to May 2nd in Loop Head and Valentia Island Lighthouses. Féile na Bealtaine takes place in Dingle from April 28th to May 2nd. With over 100 activities for visitors of all ages, this festival celebrates the arrival of summer. The Festival of Finn 2016 takes place in Corifin, Co Clare over the May bank holiday weekend from April 28th to May 2nd and includes the World Stone Throwing Championships, Fancy Dress Parade and Festival, music, talks and lots of family fun. The Darkness Into Light annual fundraising event for Pieta House takes place in venues across the country on May 7th. Check out the list for Munster here and register to take part today. Celebrate Bealtaine at Craggaunowen on May 8th. A great day out for all the family with activities on the day including storytelling, face painting, wood crafts, a firing display and much more. 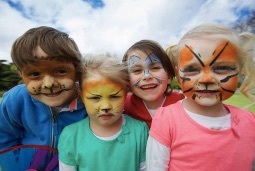 Limerick Racecourse have a family fun day on May 8th with family rates and free entertainment. The annual Burren in Bloom Festival takes place from April 28th to May 16th 2016. With talks, walks and family picnics organised to help visitors and locals gain a better understanding of the unique Burren landscape. 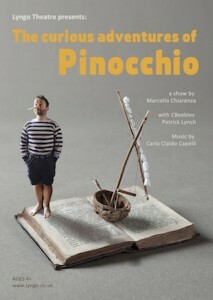 Lyngo Theatre presents The Curious Adventures of Pinocchio at glór on May 14th 2016. Enjoy Japanese Kite Making with Helen Lowe on May 5th. Abbeyfeale also celebrates the May bank holiday with Fleadh by the Feale 2016 from April 28th to May 2nd. Now in it’s 22nd year attendees will be entertained by The All Ireland Bone Playing Championship!, Busking and Art Competitions, Storytelling, masterclasses a Set Ceilí and a Mary Black Concert featuring Colaiste Íde and Iosef music groups. The annual Listowel Military Tattoo takes place in Listowel on April 28th to May 2nd with battle re-enactments, a vintage car rally and fun in the square for all the family. The 37th International Rally of the Lakes takes place in Killarney from April 29th to May 1st and is a must for all motor racing enthusiasts. 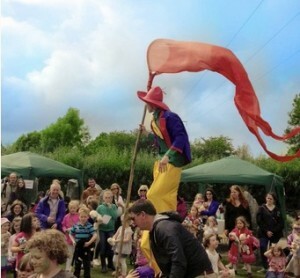 The Whitegate May Bank Holiday Festival runs in Whitegate, Co Clare from April 28th to May 2nd with a full programme of events and family activities throughout. The Gospel Rising Music Festival is on in Ennis from May 13th to 15th, 2016 and promises music, workshops and fun for all the family. Introduce the family to Opera when the Opera Theatre Company presents La bohème by Puccini for Opera @ glór on May 22nd. La bohème will be sung in Italian with English subtitles. The Speks are in town on May 28th and Danú are in concert on May 29th. Fleadh Nua 2016 takes place in Ennis from May 22nd to 30th. It will packed full of concerts, chilies, recitals, irish dancing, street entertainment and music sessions. The Burren Slow Food Festival 2016 runs from May 27th to 29th with a host of family friendly events taking place over the final weekend. Join in the 1916 Centenary Celebrations @ glór this April with the Irish Chamber Orchestra who present Revolution and Rhetoric on April 8th, The New Theatre presents Madame de Markievicz on Trial on April 18th and Ergodos presents Left Behind: Songs of the 1916 Widows on April 22nd. The Hunt Museum continue to run their popular Drop in Arts and Crafts sessions on the first Saturday of each month. The next one takes place on April 2nd. And you can enjoy Arts and Crafts on Sunday April 3rd too. Advance booking recommended for the Sunday session. Celebrate Slow Art Day on April 9th. Limerick Lifelong Leraning Festival from April 16th to 22nd. Riverfest: Ledgends of the River at The Hunt Museum on April 30th. Families are invited to come and enjoy and join in the FREE Music ‘Saturday Sessions’ at glór Ennis on April 9th, 16th, 23rd and 30th. Drop in to our open trad seisiún, led by Eoin and Brid. Young people who can play a tune on the fiddle, bodhrán, harp, concertina, or any instrument at all, (even non-traditional instruments) are welcome to come along and discover what it is like to play in a real session with other musicians. Families are invited to come, watch and enjoy! Children, (aged 7 to 12), and young people, (13+), are particularly welcome. 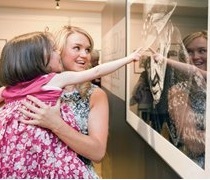 The Rainbow Project is at glór from April 8th for 10 weeks. Suitable for children aged 3 to 4 years and their parent/carer, who will work with Joanna Parkes to create an interactive drama piece through music, movement and storytelling. With the children, Joanna will explore the colours of the rainbow and from this, associate colour with feelings, moods and emotions. Joanna will work with children and their parents to create a theatre piece, using colour and music to generate stories that describe how and what very young children feel and experience. We’re loving the new TG4 series, Cleas Act, all about the Gaelscoileanna of Ireland, and the kids’ likes and dislikes. As well as chatting with presenters Eibhlín Ní Chonghaile and Stiofán Ó Fearaíl, the kids from each featured school get to sing, dance and tell jokes! Check out the show for your local school, Gaelscoil Aonach Urmhumhan (Nenagh), Co Tipperary on March 27th and Gaelscoil Aogáin (Castleisland), Co Kerry on April 10th. The 7th Annual Limerick Film Festival is on from April 14th to 16th 2016. The Riverbank Theatre presents their adaptation of the classic Alice in Wonderland at The Source Arts Centre, Thurles on April 24th. NPC are running an Internet Safety information session for Parents of Primary school children on February 29th in the Limerick South Court Hotel, Raheen at 7.30pm Admission is FREE! NPC are running an Internet Safety information session for Parents of Primary school children on March 1st in Tipperary at the Anner Hotel, Thurles at 8.00pm Admission is FREE! NPC are running an Internet Safety information session for Parents of Primary school children on March 2nd in Tipperary at the Cahir House Hotel, Cahir at 8.00pm Admission is FREE! 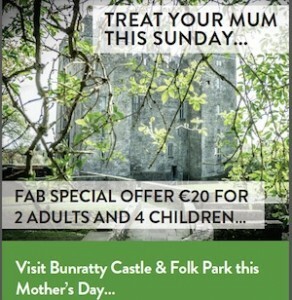 Treat your Mum this Mother’s Day, March 6th with a trip to Bunratty Castle and Folk Park where there will be live Harp & Violin performances in the Castle Great Hall, Mac’s Bar have a lunch menu all day and the playground is open all day too. 2 adults and up to 4 children for just €20. 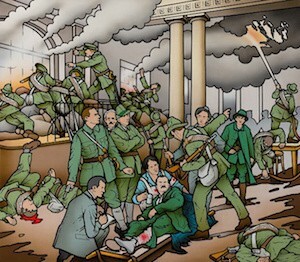 Kings John Castle will commemorate the events of April 1916 with a Schools Competition 2016 where all students and schools are asked to create drama, a skit, music, song, dance, recital or poetry, artwork or an essay to commemorate the 1016 Easter Rising. All submissions must be in by March 11th 2016. Students can enter on an individual basis or with classmates. Performances of work will take place between March 14th and April 15th 2016. Seachtain Na Gaeilge 2016 takes place from March 1st to 17th. With events running in every county in the South West to celebrate Irish language and culture. ESB Tree Week takes place from March 6th to 13th 2016 and there are events running across the South West to celebrate. Me Mollser is on at The Source Arts Centre, Thurles on March 11th. The 16th International Dingle Film Festival runs from March 17th to 20th 2016. Limerick has a St Patrick’s Festival which begins on March 17th with The St Patrick’s Day Parade from 12pm and ends with the 46th International Band Championships on March 20th at 12pm. The Limerick Milk Market has a family friendly St Patrick’s Day Festival on March 17th from 3pm to 7pm. Stop by the Hunt Museum on St Patrick’s Day, March 17th, for a Hats and Flags arts and crafts session from 11 to 11.30am so you will be all ready for the St Patrick’s Day Parade as it passes. There will also be free face painting from 11am to 12pm and you can take a tour of The History of Ireland in 10 Objects with an extra special amount of Irish from 1pm to 5pm. St Patrick’s Day starts early in Dingle with a 6am alarm call from Dingle’s Fife and Drum band. The 2016 Dingle St Patrick’s Day Parade takes place at 1pm and starts at Dingle hospital. There will be events in Dingle from March 11th to 22nd 2016 as part of the St Patrick’s Festival 2016 including The Dingle International Film Festival which takes place from March 11th to 15th 2016 and Animation Dingle which takes place on March 18th and 19th. Sneem will host it’s annual St Patrick’s Day Parade and Market on March 17th 2016. This year turn out in your green clothes to help in the Turn Sneem Green Campaign! 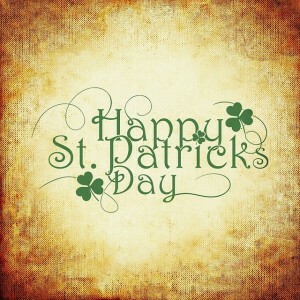 Clonmel and Nenagh will both have St Patrick’s Day Parades on March 17th. Celebrate St Patrick’s Dhttp://bit.ly/1PfWp7day at glór with Face Painting, Music – The Fiddle Case with Eoin O’Neill and Friends and King of the Sea’s Ceili with Joanna Parkes on March 17th. Enjoy Easter at Bunratty Castle & Folk Park with celebrations on March 28th. Easter at Craggaunowen will take place on March 27th and promises a fun filled day with activities, shows, storytelling and much more. Baby Book Club and Books for Babies with Sara Keating is on March 4th 0-3 years. My Books are my Friends with Sara Keating, also on March 4th, is suitable for parents & carers. 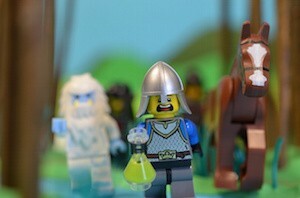 Brick Flicks Stop Motion Medieval Mayhem Workshops on March 29th & 30th. Ages 8-12 years. The Gallery at Castletroy Shopping Centre have Easter Art Workshops for kids from March 21st to April 1st 2016.
glór Ennis presents Féile Scoildrámaíochta an Chlaír on February 9th and March 1st 2016. And on February 29th see Monday’s Child by Brendan Murray performed by Barnstorm Theatre Company. The Lime Tree Theatre in Limerick have a full line up for February. They host Fidget Feet Aerial Dance Company as Red Riding Hood takes flight in ‘Catch Me’ on February 4th and from February 10th to 12th Catherine Mc Auley School presents The River Time and the Bold as Brass workshops for children take place on dates from February 13th to 27th. Enjoy an evening of magic with Ed Masters at his ‘Life of Illusion’ Ireland tour in the Source Arts Centre, Thurles on February 7th and the Millennium Theatre, LIT Limerick on February 20th. The Glen of Aherlow Winter Walking Festival takes place in the Galtee Mountains and Slievemuck Hills from December 29th to January 31st 2015. Come along and enjoy some stunning scenery. the Portmagee Old Year Festival takes place on December 31st. Events include a spectacular street parade to ring in the New Year. The Hunt Museum Drop in Arts & Crafts Saturday is on January 9th & 17th from 12pm – 1pm. 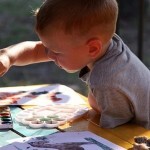 In these sessions children can explore their creative side with the help museum volunteers. This is a fun and friendly environment, the perfect place to spend your Saturday afternoon. 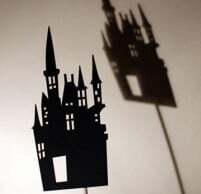 The first Saturday of every month, the crafts will be related to the story that will be told at The Limerick City Library that day during their story-telling time! €2 for one craft, €3 for both. Kids 2+ welcome. Next one is January 2nd. Parents must stay with children at all times. glór Ennis have a full program of events for families in January 2016 including; The Kilfenora Céili Band on January 2nd & 3rd, Magic Box Visual Art Wrokshops & Guided Tours from January 9th to 21st, Singalong with Goldilocks & the Three Bears on Jamuary 10th. 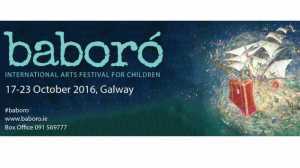 glór also facilitate workshops and classes for children of all ages and abilities with new terms starting in January 2016. Limerick On Ice is back for it’s 12th year beside Arthur’s Quay Shopping Centre. It will remain open until January 10th 2016. The UCH Limerick annual Christmas Panto is back from December 16th to January 3rd 2016. This year you can enjoy Sleeping Beauty as you have never seen it before! Enjoy talent shows, cinema, theatre, dance, Panto and more this January 2016 at the Lime Three Theatre Limerick. The Shannonside Winter Music Festival takes place at Bunratty Castle & Folk Park & venues nearby from January 21st to 25th 2016. The Source Arts Centre in Thurles brings you music, dance and Christmas Shows for all the family this Christmas 2015. 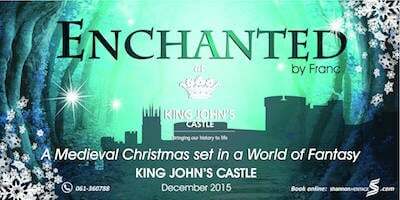 Come and discover a Magical Medieval Christmas Experience for all the family at King John’s Castle, Limerick this December. Enchanted by Franc takes place every weekend from December 3rd to 20th inclusive. 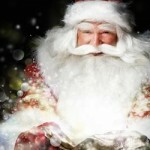 Enjoy an enchanted snow covered village, entertainment from characters of old and even see the big man himself, Santa. Every child will get Castle Currency which can be used to buy a soft toy, hot chocolate and a cookie. A Christmas themed market will run alongside all the festivities. This promises to be a great day out. Book your tickets now. 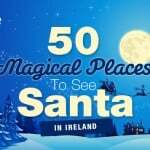 Santa and Scrooge the Storyteller along with a host of elves and Mrs Claus are back at Bunratty Castle on dates from November 28th to December 23rd 2015. Come an give the children a magical, festive experience to remember forever. Santa’s Workshop is back at Aillwee Cave on dates from November 27th to December 22nd. Christmas in Killarney have organised a feast of events for families this December. The Hunt Museum Drop in Arts & Crafts Saturday is on December 19th from 12pm – 1pm. 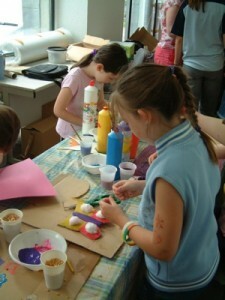 In these sessions children can explore their creative side with the help museum volunteers. This is a fun and friendly environment, the perfect place to spend your Saturday afternoon. 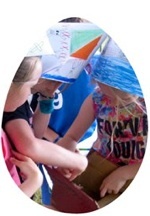 The first Saturday of every month, the crafts will be related to the story that will be told at The Limerick City Library that day during their story-telling time! €2 for one craft, €3 for both. Kids 2+ welcome. Parents must stay with children at all times. glór has a full line up of family friendly events this December including A Christmas Treat on December 6th when Santa arrives and families can also enjoy a show by Monkeyshine ‘Little Light’ Ballet Ireland presents Coppélia on December 10th at glór in Ennis. And on December 17th enjoy The Nutcracker Tour by The WhistleBlast Quartet. On dates from December 22nd to 27th, Pantaloons presents Aladdin as you have never seen it before! Christmas Spraoi in Tralee organise a host of family friendly events for December. A Taste of Roscrea runs from December 4th to 7th 2015. The Kerry County Museum Christmas Trail will run from December 8th to 22nd. Enjoy talent shows, cinema, theatre, dance, Panto and more this Christmas 2015 at the Lime Three Theatre Limerick. Enjoy Christmas 2015 at the Milk Market in Limerick with a choir and colouring competition and Christmas Gifts galore. The Sneem International Storytelling & Folkore Festival takes place from November 6th to 8th 2015. The Killaloe Festival of Light takes place on November 11th. The National Circus Festival takes place in Tralee from November 12th to 15th 2015. Visit Santa in the Skies! Book your seats on Santa’s Flight from Shannon Airport! Tickets cost €9.99 per person and under 2’s go free. Flights take place on December 12th & 13th from Shannon Airport and are decided on a lottery basis. Apply before November 24th for your chance to be on a flight with Santa. Light Moves Little Kids Club takes place at The Hunt in Limerick on November 21st. Children can enjoy a morning of dance, film and story fun. Suitable for children aged 3 to 6 years. And the regular Saturday Arts & Crafts Drop In runs on Saturdays until December 19th 2015. at 1pm. The HearSay International Audio Arts Festival takes place in Kilfinane, Co Limerick from November 20th to 22nd 2015. Keith Barry is back with a new show Out of Control on November 22nd. 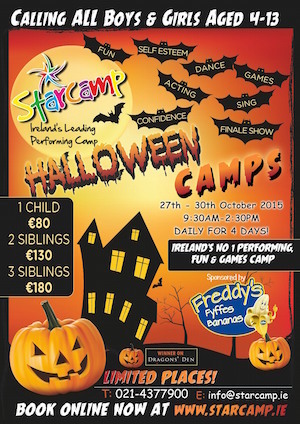 Book Now: Starcamp is back for Halloween! It is the perfect way for your child to spend their mid-term break – but please note, PLACES ARE VERY LIMITED. With songs, dances and movies scenes of a SPOOKY nature – throw in a few CREEPY games and some EERIE laughter, they will make sure that your children have a SUPER SCARY 4 days at STARCAMP! Open to boys & girls 4-13 of all levels and abilities, whether the shy and less confident type or born for the stage, camps will be running 9:30am – 2:30pm Tuesday to Friday for the midterm 27-30 October 2015. South West Camps take place in Ennis, Killarney, Nenagh and Limerick. 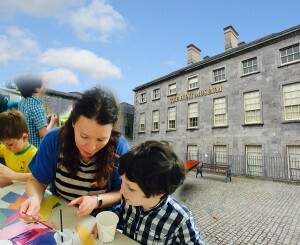 The Hunt Museum Limerick have an Arts & Crafts Drop in session on October 3rd. 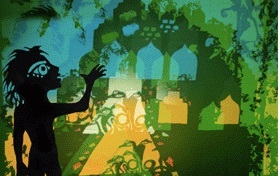 Ar-Kid-Tecture Workshops are back on October 10th as part of the Open House Festival. They have an Arts and Craft Fair and Workshops on October 17th. The Bunratty Bluegrass Festival takes place on October 11th 2015 from 12pm to 5pm at Bunratty Castle and Folk Park. Come along and enjoy all the usual attractions while experiencing Trad meets Bluegrass music, with 8 scheduled sessions throughout the day. See the full line up here. glór in Ennis have some great family events this month including; Me Michael on October 13th, suitable for ages 10+ with Q&A afterwards. And on October 23rd the annual P.A.W.S. Convention (The International Pictures and Words Storytelling) takes place from 11am to 4pm with lots of activities suitable for the whole family. The Source Arts Centre in Thurles have some great family shows running this October including Me, Michael on October 6th, Song of the Sea on October 10th & Blárh on October 22nd. Buladh Bos Children’s Festival 2015 will take place in Limerick from October 8th to October 20th. The Lime Tree Theatre will host family shows and events throughout. Join in the fun this Halloween at Bunratty Castle and Folk Park where they will have spine chilling events from 12pm to 6pm on October 26th. Make sure to come in fancy dress for the annual competition for both children & adults! Come face to face with dangerous animals! Enjoy a Celtic Halloween Experience, Time Travel and play games from the past, enjoy traditional and modern music and be Thrilled by a Michael Jackson tribute dance to ‘Thriller’. Normal admission rates apply with no extra charges for the additional entertainment. 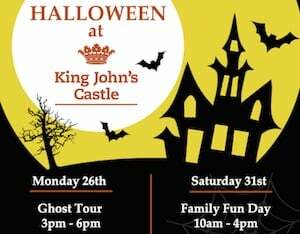 Enjoy Spooky Halloween fun at King John’s Castle on October 26th come along and meet ghosts and hear tales and scandals from medieval times on the Ghost Tour from 3pm to 6pm (20 minute intervals) & on October 31st enjoy a Family Fun Day from 10am to 4pm with spooky spirits, games and treats for everyone. Call 061 360788 or email [email protected] to book. Halloween workshops for ages 4 to 12 years take place at glór from October 27th to 30th including Brick Flicks, Shadow Fun, Puppet Making, African Mask Making and Istsy Bitsy Spider Workshops. 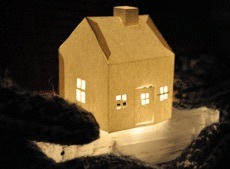 And on October 31st the Lambert Puppet Theatre presents Hansel and Gretel featuring Bosco. The Burren Winterage Weekend celebrates the farming heritage of the region with events suitable for all the famiily. It takes place from October 22nd to 25th 2015. 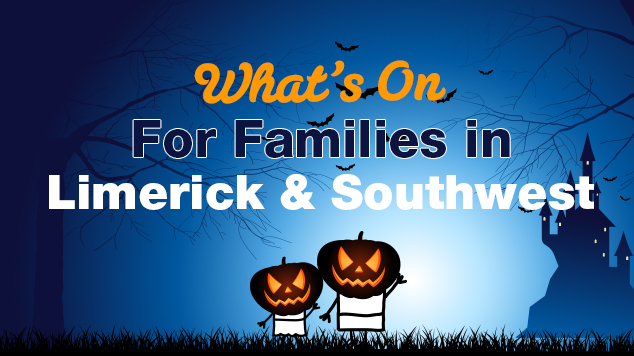 Limerick will host it’s very own Halloween ‘Spooktacular’ Family Festival on Arthur’s Quay from October 23rd to November 1st 2015. With daily activities from 12pm to 8pm. Moher Hill Open Farm in Liscannor is hosting a fun Halloween event on October 25th. The Burren Food Fayre is on in Lisdoonvarna on October 24th and 25th 2015. The annual Knocknagoshel Halloween Group Ghost Trail takes place in Knocknagoshel, Co Kerry on October 25th 2015 starting at 6.30pm come and join in if you dare!. The annual Spleodar Family Arts Festival is on in Nenagh from October 26th to 31st 2015. The Hunt Museum in Limerick have an Arts & Crafts Drop in session on September 5th, also on September 5th & 12th they will run 2 exciting Street Art Workshops as part of the Elemental Festival. glór Ennis has a full schedule of classes and workshops starting back in September including astronomy, acting, music, art, yoga, dance and more. And on September 26th come to the Food Village at glór, part of the Ennis Food Festival. 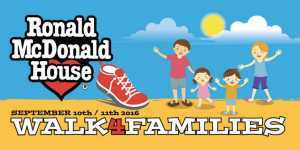 On the 12th of September, The Ronald McDonald House will be holding its annual #Walking4Families event to raise money to build a new 50 Bedroom House at the New National Children’s Hospital. Please support by joining your local event. Or text WALK to 50300 to Donate €4 if unable to attend. Westfest takes place in Newcastle West from Setpember 10th to 13th. Full of family fun with music, entertainment a food village and more. Elemental Arts & Culture Festival is on in venues throughout Limerick from September 11th to September 13th. With loads of free events, the festival celebrates the arts in all their guises. Dingle Tradfest 2015 take place from September 10th to 13th. Flavour of Killorglin annual Food Festival takes place from September 11th to 13th. The Listowel Races Harvest Festival is on from September 13th to 19th with events for all the family to enjoy. The inaugural Tralee Food Festival is on from September 18th to 20th, 2015. Tralee will be transformed into a true gourmet paradise with events, tastings, markets, demos and more on offer. Head to Carrigaholt for Seafood in September 2015, a culinary celebration of food on the Wild Atlantic Way which runs from September 18th to 20th. Patrickswell Community are hosting The All Ireland Tractor Pulling Championship & Family Fun Day on Sunday 20th September at Limerick Racecourse. 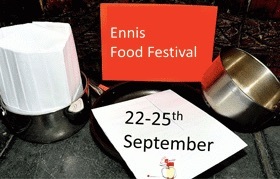 The Ennis Food Festival 2015 runs from September 24th to 27th. Traditional Harvest Day will be celebrated in style at Bunratty Castle & Folk Park on September 27th. from 1pm to 5pm, with a 19th century Harvest event. Get a flavour of Irish life from 100 years ago and enjoy threshing , butter churning and bread making demonstrations, along with traditional storytelling, music and dance. Owners of vintage tractors and machinery from far and wide will proudly display their wares for what promises to be a great family day out. Festivities included in normal ticket price. The Cahersiveen Festival of Music & The Arts runs over the August bank holiday weekend from July 31st to August 2nd 2015. The Scariff Harbour Festival runs in various venues around Scariff, Co Clare from July 31st to August 2nd 2015. Celebrate Lughnasa at Craggaunowen from 2nd- 3rd August, with an array of costumed re-enactors from the Bronze Age to Medieval times. Activities include combat demonstrations, Brehon law trials and much more! The Hunt Museum, Limerick have a Kids’ Art and Craft Session on August 2nd, 2015 from 2.30pm to 4pm. The annual Kilgarvan Agricultural Show takes place in Kilgarvan, Co Kerry on August 2nd 2015. 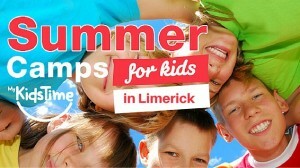 If you are looking for Summer Camps to book during August we have gathered information on what is available in one handy place Summer Camps for Kids in Limerick. The Hunt Museum Summer Camps theme this year is Victuals, Varmints and Vessels, inspired by the museum collection. 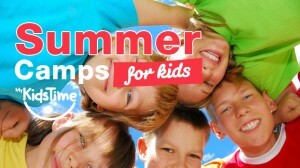 The camps are open to children aged 5+. Weekly Summer Camps take place from July 6th to August 21st, 2015, and run daily from 10am to 4pm. Book your place now. In addition, every weekday in August, The Hunt Museum is asking you to come along and get Hands On with the collection. Encounter Artefacts in a new and exciting way. The Feakle Festival of Traditional Music 2015 is on from August 5th to 10th. The famous Puck Fair in Killorglin, Co. Kerry (August 10th-12th), is one of Ireland’s most unusual street festivals! See the crowning of a wild mountain goat and take to the streets for lots of fun. The annual Rose of Tralee Festival takes place from August 14th to the 18th. There are family friendly events running throughout the week. For all Lord of The Rings fans join the Burren Tolkien Society for the inaugural Burren Tolkien Festival from August 15th to 24th. The Cappamore Agricultural Show takes place in Cappamore, Limerick on August 15th 2015. Sarsfields Day Festival Weekend takes place on the weekend of August 21st to 23rd 2015 in various venues in Limerick City and County. The Charlie Chaplin Comedy Film Festival takes place in Waterville, Co Kerry from August 20th to 23rd 2015. 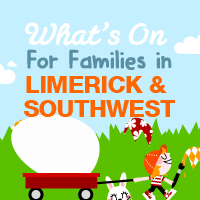 The Limerick Show Family Festival takes place at Limerick Racecourse, Peterswell on August 22nd and 23rd 2015 . National Heritage Week takes place from August 22nd to 30th, 2015. 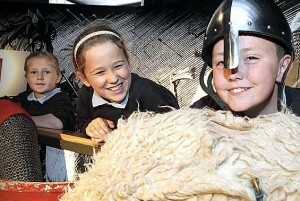 The Hunt Museum, Limerick will celebrate with a week of free events and fun for all the family. This years theme is The Circus. The annual Féile Brian Ború Festival runs in Killaloe an Ballina from July 1st to July 5th 2015. The Hunt Museum, Limerick have a Kids’ Art and Craft Session on July 5th 2015 from 2.30pm to 4pm. On July 18th, 2015, The Hunt Museum, Limerick will host a Family Fun Day in association with, Hands in Harmony, Limerick’s first Deaf Community Choir to raise much needed funds for the Limerick Deaf Community Centre. Ennis Street Festival is a celebration of the many cultures and artistic ways that make Ennis, Co. Clare, a special place, with a colourful mix of music, dance, visual arts, puppets shows, arts exhibitions, workshops, acrobatics and more surprises from the 3rd – 5th July 2015! glór Ennis will host a full programme of events for the Ennis Street Festival. Starting on July 1st with an Aerial Workshop for ages 8+ there will be children’s theatre and workshops daily until July 5th 2015. The annual Limerick Make A Move Festival of Hip Hop and Music takes place in various venues in Limerick City from July 2nd to 5th 2015. Limerick goes red, white and blue for the annual 4th of July Limerick Festival which takes place over the weekend of July 3rd to 5th. Limerick Racecourse have a FREE Family Fun Day on July 5th 2015. The Burren Garden Festival runs from July 6th to 12th 2015 at various gardens in teh Burren Region, Co Clare. If you have a teen who would love to sing and record music, the Songschool Camp at The Source in Thurles is the ideal venue. It takes place from July 13th to 17th 2015. The Richie Hayes Summer Panto Camps is on at UCH Limerick from July 13th to 17th 2015. On July 17th get the family out to enjoy the 1st ever Electric Night Run at University of Limerick. It is an exciting 5km run suitable for all ages and will be full of lights, sound and uv paint! To celebrate the 70th anniversary of the first commercial transatlantic flight, Shannon Airport will have an amazing Air Display and Family Day on Saturday 18th July. The six hour event will include visual treats from some of Ireland and Europe’s leading aerobatics performers, parachutists, helicopters, jet fighters and stunt fliers. There will be music and fun for all of the family with plenty of activities and entertainment for children. Tickets cost €5 per person, kids under 6 years go free, Book here and included in your ticket price is a complimentary day visit to Bunratty Castle & Folk Park, King John’s Castle or Craggaunowen on the weekend of the 18th & 19th July. It’s A Long Way to Tipperary Festival takes place in Tipperary Town on July 17th and 18th 2015. The Eyeries Family Festival takes place from July 17th to 19th 2015 in Eyeries, Co Kerry. The Sneem Family Festival takes place in Sneem, Co Kerry from July 22nd to 26th 2015. The Kilrush Traditional Music & Set Dancing Festival is on in various venues in Kilrush, Co Clare from July 22nd to 26th 2015. 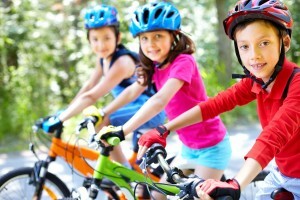 National Bike Week runs from 13-21 June with lots of family-friendly cycling events around Limerick, Clare, Kerry & Tipp including Family Fun Cycles and Family Bike Parades! 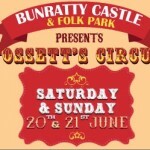 Fossetts Circus comes to Bunratty Castle and Folk Park on June 20th and 21st 2015. Come and enjoy the fun of the circus with 2 shows daily. 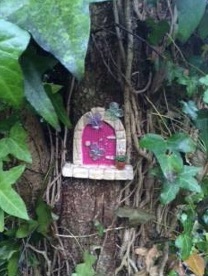 Price includes access to the Bunratty Castle & Folk Park complete with brand new playground!! Have buckets of fun with Swing boats, Victorian carousel rides and lots more!! Bring your teddy bear along to The People’s Park Pery’s Square, Limerick on July 27th for the Cuidiú Teddy Bear Picnic from 12pm to 2pm. The Ballybunion Wild Atlantic Seaweed Weekend runs from June 5th to June 7th and incorporate everything from cooking with seaweed to bathing in seaweed! Féile na mBláth @ The Park Festival Tralee takes place on June 13th & 14th from 9am to 6.30pm. With undercover and outdoor events for all the family this promises to be a great weekend of fun. The Killarney Festival of Music and Food runs on June 27th & 28th on Muckross Road. There will be plenty of music and activiteis to keep all members of the family happy. The Limerick Fleadh takes place in Glin, Co Limerick from May 27th to June 1st. Celebrating music and the arts K Fest takes place in Killorglin, Co Kerry from May 29th to June 1st. On the June Bank Holiday Weekend, May 30th & 31st kids are invited to help the Hunt Museum celebrate Culture and Chips with fun food-craft sessions. Booking is recommended as places are limited. Listowel Wrtiers’ Week has events for adults and children in Listowel, Co Kerry, from May 27th to 31st . The Hunt Museum have their fun 1st Sunday Art Club for kids on Sunday, May 3rd from 2.30pm to 4pm, advance booking recommended. And on May 15th they celebrate Grandparents Day with fun art activities, dress up and workshops for children and their Grandparents. Riverfest 2015 takes place in Limerick over the May Bank Holiday Weekend, May 1st to 4th. It showcases and celebrates all that is great about Limerick with family friendly events taking place throughout the city. The Fleadh and Céilí Nua have events from May 21st to 25th in Cois na hAbhna, Ennis, Co Clare. 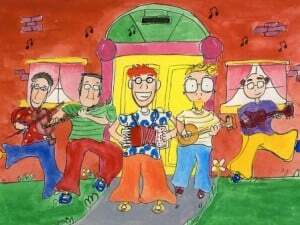 Fleadh by the Feale runs in Abbeyfeale, Co Limerick from April 30th to May 4th with muisc, song, dance and stories. The Féile na Bealtaine Arts Festival runs over the May Bank Holiday Weekend, April 30th to May 4th in Dingle and surrounding areas. A must for all car enthusiasts, the 2015 International Rally of the Lakes takes place in Killarney over the May Bank Holiday Weekend. The annual Listowel Military Tattoo takes place in Listowel on May 2nd to 5th with battle re-enactments, a vintage car rally and fun in the square for all the family. The Whitegate May Bank Holiday Festival runs in Whitegate, Co Clare from April 30th to May 6th with a full programme of events and family activities throughout. The Gospel Rising Music Festival is on in Ennis from May 8th to 10th. glór stage Beauty & the Beast on May 11th & 12th and to celebrate National Drawing Day they host their Big Draw on May 16th and Shoot for the Stars, a celebration of dance is on May 21st . The Burren Slow Food Festival 2015 runs from May 16th to 24th with a host of family friendly events taking place over the final weekend. The Hunt Museum invite you to start your Saturday mornings creatively at their Drop in Arts & Craft For Kids and Parents. 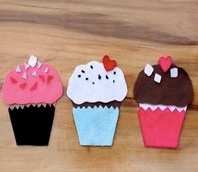 Just €2 for one craft and €3 for both with different projects weekly. Booking is not required. The Limerick Film Festival takes place from April 23rd to 25th. Féile na Bealtaine takes place in Dingle from April 30th to May 4th. With over 100 activities for visitors of all ages, this festival celebrates the arrival of summer. 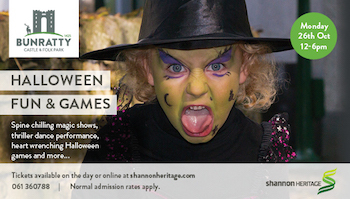 Shannon Heritage are hosting fun Easter Events at all their sites. On April 5th from 1pm to 5pm come along and join the Easter Bunny at Craggaunowen. There will be hundreds of Easter Eggs, Bouncy Castles, Music, a Puppet Show and much more. At Bunratty Castle and Folk Park on April 6th from 1pm to 5pm including train rides with the Easter Bunny, Easter Bonnet Competition, Easter Disco, Easter Clue Trail, Face-painting and much more. 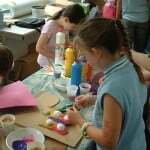 King John’s Castle are running fun Family Easter Workshops on various dates from March31st to April 9th. €10 per child to include lunch and €5 per adult. Booking necessary. Call 061 360788 for further information. Stay busy this Easter at glór Ennis by taking part in a Cartoon and Comic Strip Workshop with Aidan Courtney. The Cartoon Workshops take place on April 7th and 8th and are suitable for children aged 5 to 10 years and The Comic Strip Workshops are for children aged 10+ and also run on April 7th and 8th. For younger children Fidget Feet presents The Elves & The Shoemaker on April 9th and 10th at glór Ennis. 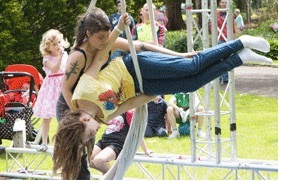 Suitable for children aged 4 to 8 years, be mesmerised by music, storytelling and aerial circus. 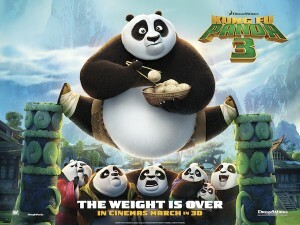 glór Arts Centre have also have a Brick Flicks Workshop running on March 30th & 31st book your places now. The Hunt Museum are running a 4 day Easter Camp from March 30th to April 2nd. The camp runs daily from 10am to 4pm and is suitable for children aged 5 to 12 years. Included in the camp activities will be the creation of a digital Easter Egg Hunt that will take place from April 5th to April 7th. Find out more! The popular drop in Art Project for parents and children is on Saturday April 5th from 12pm to 1pm and on Sunday April 6th join in the Kids Art and Craft Session from 2.30pm to 4pm. FitKids4Ever are running active Easter Camps in Castleconnell and Bird Hill from March 30th to April 2nd. Find out more. Tír na nÓg Children’s Festival takes place in Tralee, Co Kerry this Easter with a full programme of indoor and outdoor activities are planned at various locations with – Easter Egg Hunts, Duck Races, Puppet Shows, Family Night at the Dogs, Arts and Craft Workshops, Teddy Bears & Dollies Picnics, Bonnie Baby Competition, Animal Farms and Bug Hunts! Running from Tuesday 31st March – Thursday 2nd April and Tuesday 7th April – Thursday 9th April- from 10am – 2pm Suitable for chlidren aged 5 to 12 years. Cost: €55 for three days and €20 for one day. Contact the Tralee Bay Wetlands on 066 7126700. 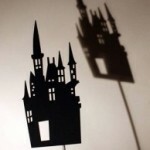 Toymaster in Bridge Street have a Free Children’s Puppet Show on Saturday April 4th from 11am to 1pm. On Saturday April 4th from 1pm to 3pm the under 12’s Meadowlands Tralee Fancy Dress Fun Run is taking place in Tralee Town Park. Face painting, dancing with Linda Flanagan from Zumba Salsa Tralee and an outdoor disco with an appearances from some of our favorite Disney characters. Registration forms can be handed in to Tralee Chamber Alliance or The Meadowlands Hotel Tralee. Cost: €5 per child. If you are looking for a fun activity to do with the kids on Saturday mornings head over to the Hunt Museum for Drop in Arts and Crafts from 12pm to 1pm. It costs just €2 for 1 craft and €3 for both and children aged 2+ are welcome with their parents. Dingle International Film Festival takes place from March 12th to 15th. 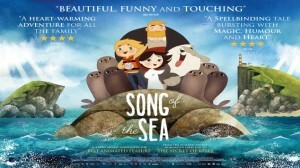 As part of the festival Animation Dingle celebrates the best national and international animation. Kenmare Lace Festival 2015 runs from March 19th to 22nd with lacemaking and millenary workshops, fashions shows, lace displays and more. Limerick Hosts a Festival of Kindness Festival from March 13th to 17th. With a Free Family Fun Day on Bedford Row from 11am to 3pm on March 15th a Free Day of Walking on Water at UL with free kayaking and a universal access excursion for wheelchair users and those who are visually impaired and on March 16th local scouts groups will carry out acts of kindness throughout the day. St Patrick’s Day starts early in Dingle with a 6am alarm call from Dingle’s Fife and Drum band. The 2015 Dingle St Patrick’s Day Parade takes place at 1pm and starts at Dingle hospital. Sneem will host it’s annual St Patrick’s Day Parade and Market on March 17th 2015. This year turn out in your green clothes to help in the Turn Sneem Green Campaign! The Hunt Museum in Limerick have their Kids’ Art Club running on February 1st and the next Saturday Art & Crafts Drop In event is on February 7th. I Love The Hunt in association with Limerick Printmakers Studio & Gallery is running Fab Lab with crafts, tours music and more on February 14th. Join instrument builder Ed Devane in this hands-on music workshop on February 22nd. Participants will learn about sound and musical instrument design, giving them a richer understanding of music while enhancing their craft skills, and make loads of noise in the process! suitable for Ages: 8 – 13. Drop in any time over the mid-term and you can Hunt for Treasure and Animals! 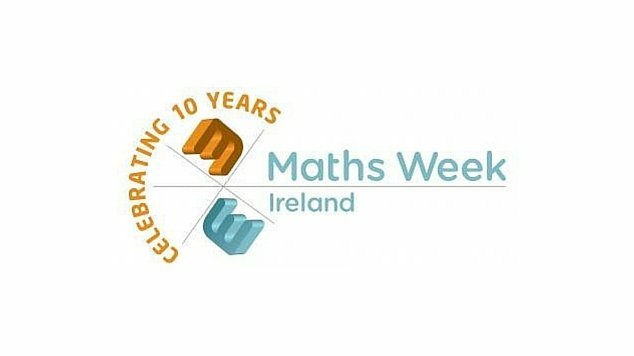 Engineers Week takes place from February 8th to 14th and there are family friendly events taking place across the South West. 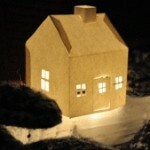 Make Your Own Puppet Workshop is at the Lime Tree Limerick on February 7th. At Glor, Ennis on 18th Feb, the American Wrestling Roadshow comes to town. 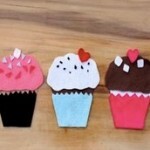 Brick Flicks Stop Motion Workshop by Creatschool takes place on February 19th at The Source. Suitable for children aged 8+. 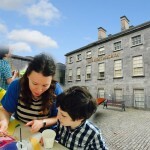 The Hunt Museum in Limerick have free fun activity sheets for families and run regular family art sessions. The next one is on February 1st. Get your skates on at Killarney On Ice – open until January 11th. The Lime Tree Theatre Limerick are embracing music this January with family shows on January 10th, 17th, 24th and 31st. 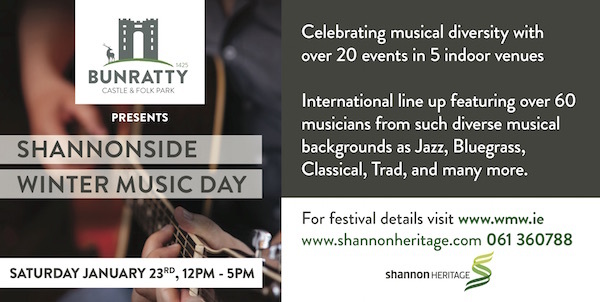 On January 17th Bunratty Castle & Folk Park are having their annual Winter Music Day. 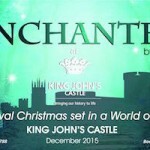 Take a visit to King John’s Castle where 800 years of history comes to life. Enjoy the Shannonside Winter Music Weekend which takes place in Sixmilebridge and Bunratty on January 15th & 16th. The Source Arts Centre in Thurles have art classes for children aged 3-7 years and their parents/guardians starting January 9th for 6 weeks and the Lambert Puppet Theatre presents Snow White with Bosco on February 1st. 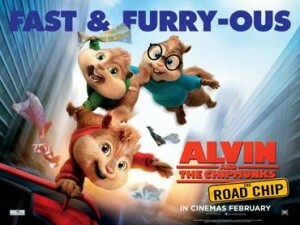 If you didn’t make it to the cinema over the Christmas, there are some great family films showing this month at Omniplex Tralee, Classic Cinema Listowel, Phoenix Cinema Dingle. Omniplex Limerick, Odeon Limerick, Tippeary Excel, IMC Thurles, Empire Moveieplex Ennis, We saw Paddington (read our review) and Annie recently both great and for older children the final Hobbit movie was a big hit.